Two exciting new discoveries made during archaeological excavations in the City of David, Jerusalem, were released to the public on Sunday. 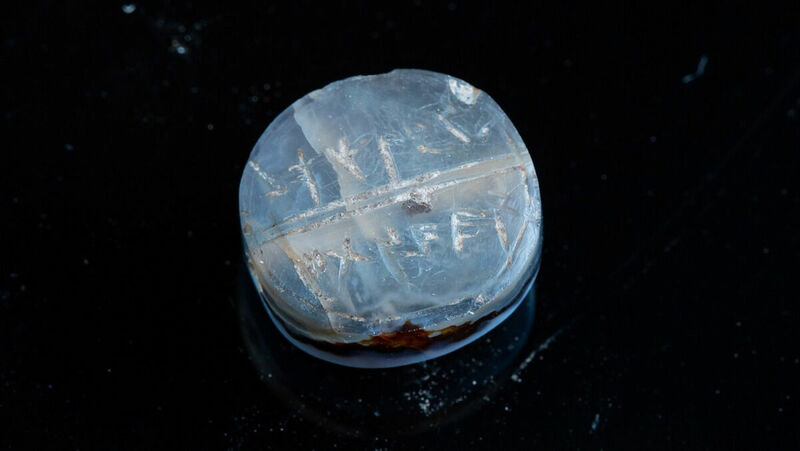 The finds—a blue agate seal and a clay seal impression—are circa 2,600 years old and were uncovered by Israeli archaeologist Yuval Gadot’s team during the ongoing Givati Parking Lot excavation. 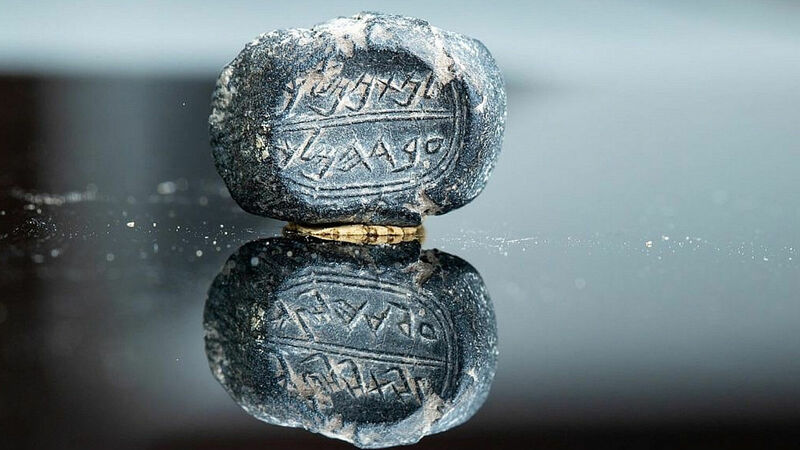 The other item released on Sunday, a blue stone seal, bears the inscription “Belonging to Ikar, son of Matanyahu.” The name Matanyahu (or Mattaniah) was used 16 times throughout the Hebrew Bible. Most significantly, it was the original name of King Zedekiah; his name was changed when King Nebuchadnezzar installed him as a puppet king (2 Kings 24:17). Considering that Zedekiah was an older man when he became king, and considering the dating of the seal (late seventh to early sixth century b.c.) and that it belonged to a high-ranking official, it is very possible that it refers to this same Zedekiah–Mattaniah—thus belonging to a son of the eventual king. If this is the case, then this potential heir met his grisly demise upon Nebuchadnezzar’s destruction of Jerusalem around 586 b.c. : “And they slew the sons of Zedekiah before his eyes, and put out the eyes of Zedekiah, and bound him with fetters of brass, and carried him to Babylon” (2 Kings 25:7).